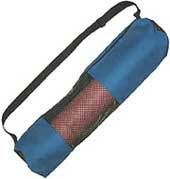 Breeze Yoga Mat Bag with mesh for Extra Ventilation. Our mixed fabric-mesh zippered mat bags are hip and stylish, while still providing easy access to insert and remove your yoga mat. Great ventilation too! Our hip and stylish light-weight yoga mat bag is made of durable fabric and breathable mesh. The mesh portion provides excellent ventilation for your mat. 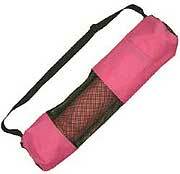 Provides easy access to insert and remove your yoga mat using a full-length zipper. This yoga mat carrier will comfortably hold your yoga mat and also some other small props (e.g. strap, towel). A side pocket (with hook & loop closure) - large enough to hold keys, jewelry, wallet, etc. and a large, sturdy, adjustable carrying strap. And in addition to all of these great features...it's unique and simply looks cool! Will comfortably hold one standard 1/8", 3/16", or 1/4" yoga mat. 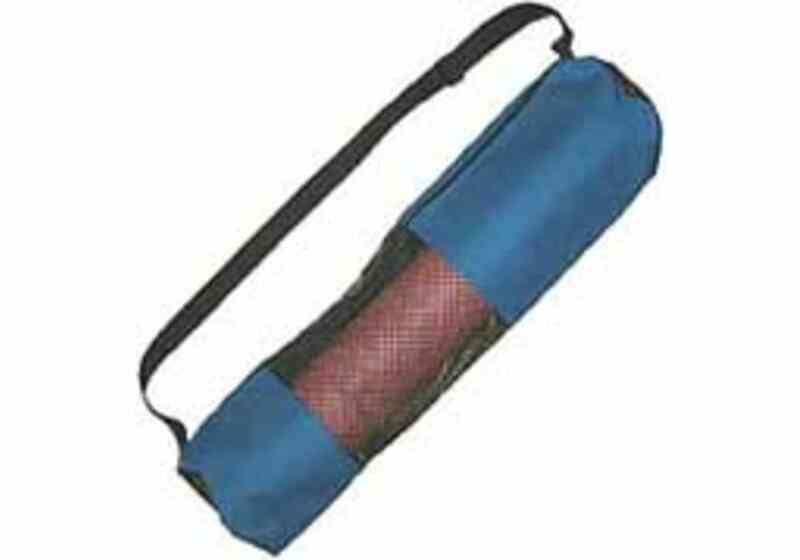 Our Yoga Breeze Mat Carrier is 27" long with a diameter of 5.7"
Our hip and stylish light-weight yoga mat bag is made of durable fabric and breathable mesh. It provides easy access to insert and remove your yoga mat using a full-length zipper. The mesh portion provides excellent ventilation for your mat. This yoga mat carrier will comfortably hold your yoga mat and also some other small props (e.g. strap, towel). Also has an outside hook & loop (like Velcro) closure pocket for all your small essentials and a large, adjustable carrying strap. A side pocket (with hook & loop (like Velcro) closure) - large enough to hold keys, jewelry, wallet, etc. 27" long with a diameter of 5.7"
Will comfortably hold one standard 1/8", 3/16", or 1/4" yoga mat.